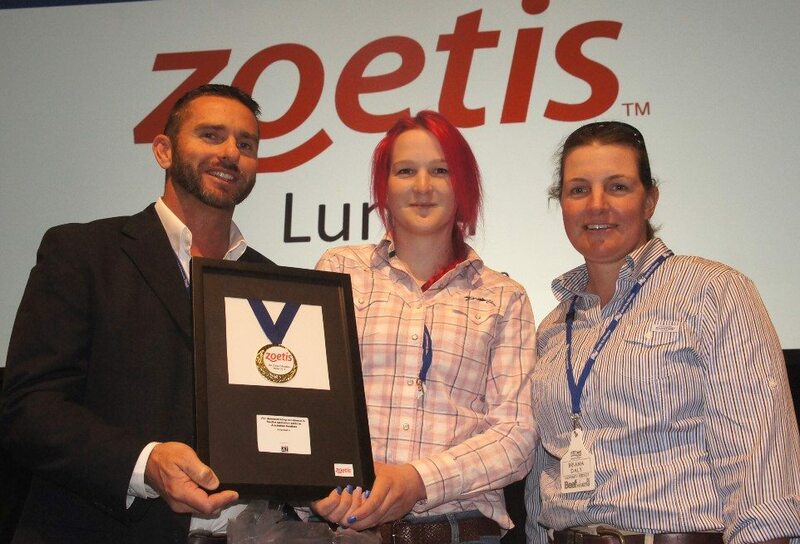 AS part of the Australian Lot Feeders Association’s commitment to attracting and fostering leaders in the grainfed beef industry, the Zoetis Education Medal will once again be awarded at the 2016 BeefEx industry conference being held on the Gold Coast next week. The Zoetis Education Medal is open to stakeholders who are undertaking or who have completed feedlot specific study, and recognises excellence in feedlot operation skills. The inaugural medal was awarded at BeefEx in 2004 and has been awarded annually each year since. Two finalists have been selected to attend this year’s BeefEx event, the premier showcase of the grainfed industry, for the final round of judging. This year’s finalists are Cailin O’Connor from Gundamain feedlot, Eugowra NSW and Brendan Orr from Grassdale feedlot, Dalby QLD. Ms O’Connor has been working at Gundamain since early 2015. Prior to working in lotfeeding, she was employed on cattle stations around Cloncurry QLD before she found her interest in intensive cattle production. Ms O’Connor has since pursued lotfeeding in her career, as well as her education, undertaking a Certificate III in Feedlot Operations – Pen Riding. Brendan Orr has worked with Mort & Co for four years and is now the Feed and Milling Coordinator at Grassdale, completing a Certificate III in Feedlot Operations. Mr Orr said in his role, he aims to improve himself, his team and the feedlot as a whole. “From a production perspective, my current focus is to continuously improve on current benchmarks within my team,” he said. Zoetis’ feedlot and corporate account manager Andrew Malloy said the Zoetis Education Medal was an important vehicle to recognise and reward the critical role that production level workers play in the Australian feedlot industry. “We need to encourage these people to regard the feedlot industry as a worthwhile and rewarding career, either through further development of production level skills or through progression to management positions within the sector,” Mr Malloy said. Judging of the Zoetis Education Medal will take place at BeefEx at Royal Pines on the Gold Coast, with the winner being announced on Wednesday 12 October. BeefEx runs from Tuesday evening, October 11, to Thursday, October 13.